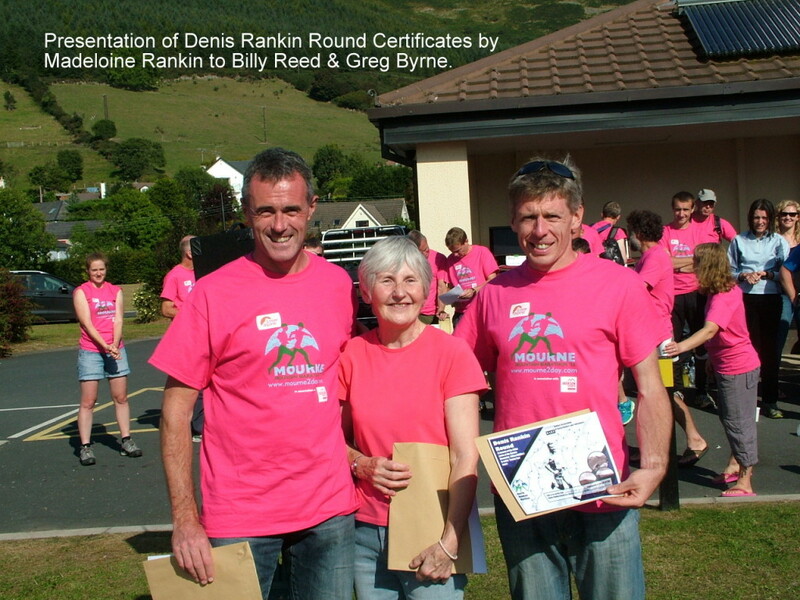 At the Mourne Mountain Marathon prize giving on Sunday the 21st September 2014, the first set of certificates were presented by Madeline Rankin to three successful circuiteers. All three people were taking part in this year’s MMM so it seemed appropriate that this was a suitable occasion for the presentation. Billy Reid and Greg Bryne were the first two people to successfully complete a circuit on the 15th June 2014, just a few weeks after the round was officially launched. There was a long and generous round of applause from the Mountain Marathon competitors in recognition of their groundbreaking efforts. 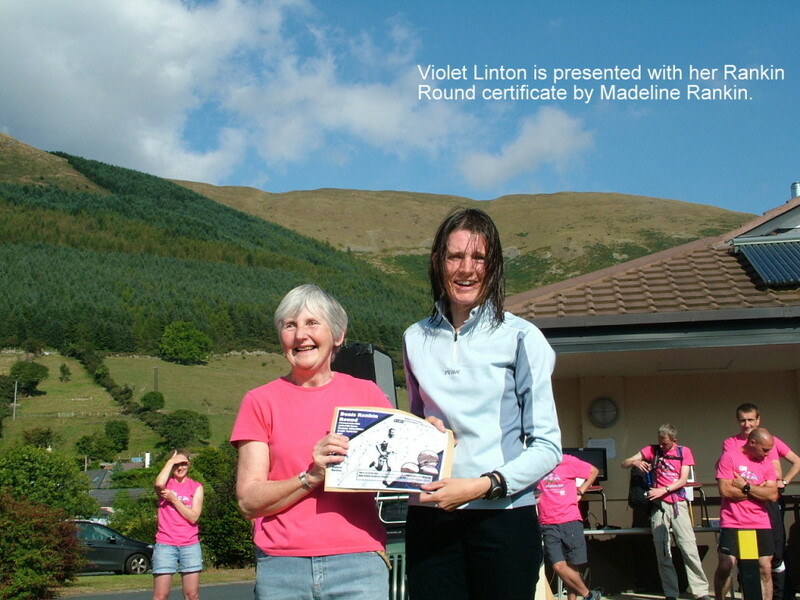 Violet Linton stepped forward to another heartfelt round of applause in recognition of her heroic efforts in becoming the first female and also solo circuiteer on the 31st August in anything but ideal conditions. The Rankin Round certificates were designed by BARF member Jackie Toal and we have a stockpile now awaiting future successful attempts.